Join Kira Robertson as she sets out to find the Snark, an elusive creature few people have seen and no one has caught. 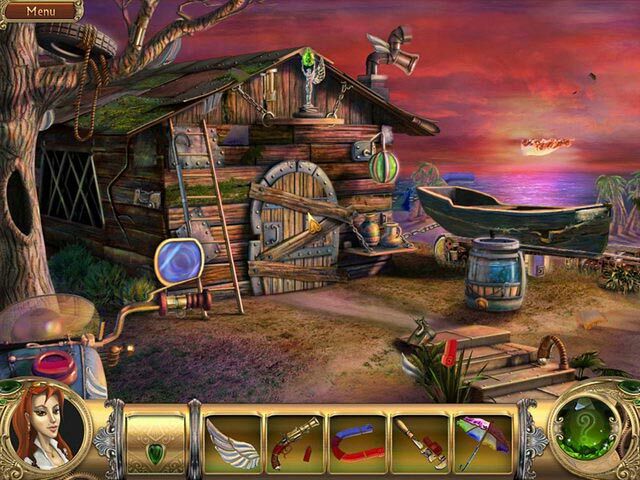 Can you decipher the clues, solve the puzzles, and piece together the objects you need to track down your target? 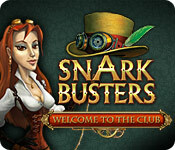 Follow the Snark through mirrors, into inside-out and upside-down worlds and join the Snark Busters club in this fast-paced and exciting Hidden Object game. Help Kira find the Snark! Snark Busters is rated 4.5 out of 5 by 53. Rated 5 out of 5 by smilingsun72 from Absolutely Entertaining In Every Aspect! Completed:You play Kira, a mischievous young woman who loves playing pranks. But one prank to many gets her in trouble and under house arrest where she receives a letter to capture a creature called a snark.Eventually Kira finds herself able escaped her room and travel between the snark's world through mirrors. After traveling through several worlds Kira finds herself back home with no snark but her adventure only beginning. A wonderful story that kept my attention. The graphics are bright and cheery. The music catchy. There is a variety of puzzles that are not complicated to solve. What makes it challenging is finding all the scattered pieces needed to complete the items in each scene. Some of the pieces are hidden and require extra steps between scenes. There are NO HOs. No map is required because each (chapter) has maybe a handful of scenes to travel between so everything is contained right there in the areas to complete each chapter before going to the next. I recommend this game for family friendly and something different than all the gloom and doom BF has had lately. I can't wait to play the other 2 games in this series. Rated 5 out of 5 by YogiJude from Love this game The soundtrack, the art, the wit, all very fun! Same for part 2 - great game! However... part 3, not so good. Seemed they got a little lazy making it. Shoulda kept similar soundtrack, it was so funky, and it just seemed the story was a bit blah. You guys should make it up to us with a part 4 similar to 1 & 2. 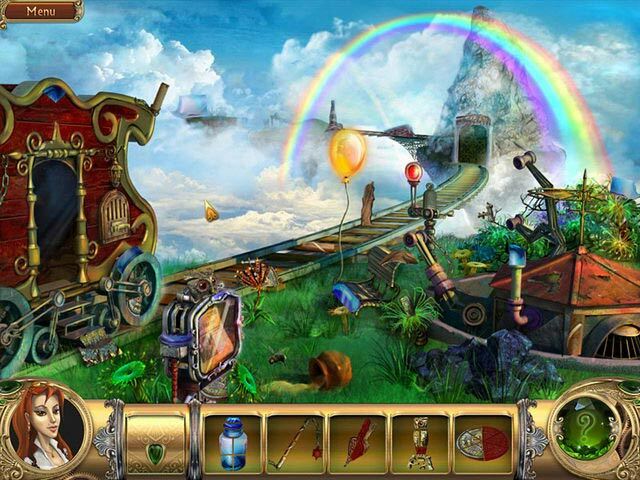 Rated 5 out of 5 by kids36 from Love it So many hidden object games become boring for me. Too easy really no thought to them an than if you play them again and again usually all the objects are in the same place. Snark Busters well objects are still in the same place, its more fun and catchy having to put items together by finding the pieces figuring out codes and all I love all 3 games. Definitely bought all of these. I hope they make a couple more Snark Busters. Rated 5 out of 5 by Hishalea from An actual adventure! I thoroughly enjoyed this game. Having every room as a HO scene was a great idea! 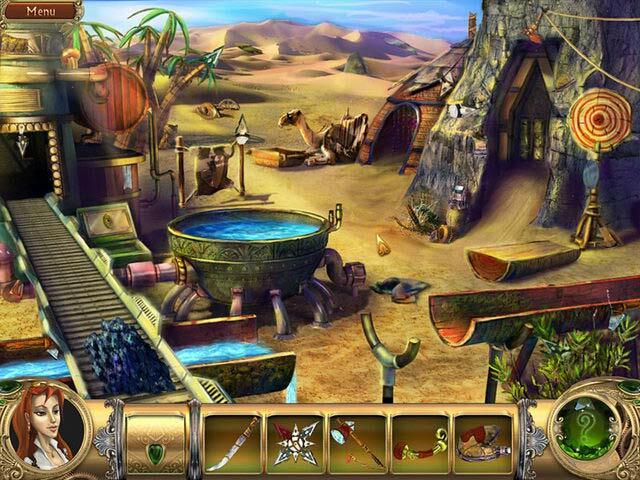 You're also searching for pieces of objects, rather than actual objects, and some of them are very well camouflaged. I think this is the first time I've actively enlisted my husband to help me search in one of these games, but that just made it all the more enjoyable! I get the feeling that it's an older title, just from the quality of the visuals and some of the design choices. For example, there was a reasonable amount of back-and-forth between locations that I've gladly noticed is absent from more recent games, but I didn't find it too arduous. The hint system is especially wonderful, as it adds a subtle sparkle to the door you need to travel through next. Perfect for people who like to finish the game in one sitting! All in all, another fantastic Alawar title, and probably one of my favourites that I've downloaded. I would recommend this game to anyone who enjoys fantastical settings, adventure, and just the right amount of humour! Rated 5 out of 5 by grlnextdoor35 from Great Loved all three out so far. Need many more. Rated 5 out of 5 by silverswan1960 from Fun This was really just fun, and gave me some good laughs. Not really challenging or stressful.....just what I needed this weekend. Rated 5 out of 5 by fundit2 from clever and fun I enjoyed this one. I shared it with a young niece and nephew and they got into it, too. Clever, funny, and cute illustration. Some corny humor and you need to remember where you saw something earlier, so a bit of backtracking. I liked playing this. Rated 5 out of 5 by Spritie from Absolute favorite Bigfish game Love this game. The colours are bright and cheerful, the story line is fun, and the puzzles are challenging without being annoying. I really like the steampunk design and the cheerful music. Join Kira Robertson as she sets out to find the Snark, an elusive creature few people have seen and no one has caught!